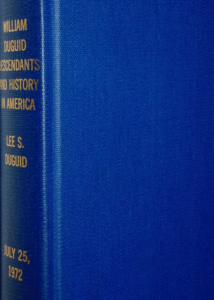 What follows is a searchable, digital copy of Lee S. Duguid’s precious 1972 treatise, William Duguid Descendants and History in America. 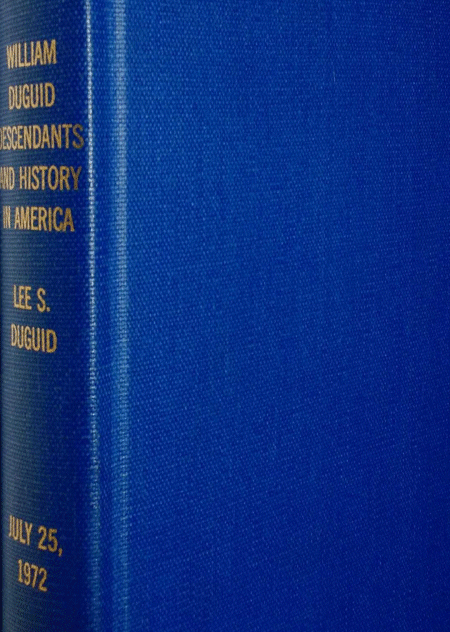 Here are the first few pages of the signed copy given to my father, Robert D. Straw. More to follow.